After the megafight had been officially announced by both camps and signatures of both boxing icons had been affixed, bookers seemed to have already chosen their favorite. Three to one booker shiwed support to Floyd Mayweather Jr, the American Boxing Champion, over Philippine's Manny Pacquiao. 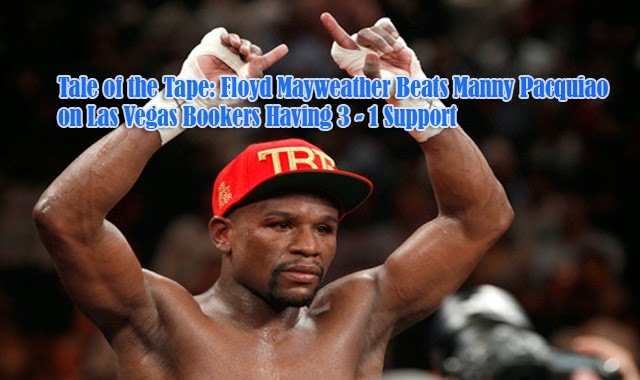 Ronnie Nathanielsz, a veteran boxing analyst, had explained that Las Vegas bookmakers will always support Mayweather. He had always been their favorite boxer and for the megafight, it won't change. Not only the bookmakers, the judges and even Nevada State Athletic Commission will possibly be choosing Mayweather's side. Because of this, Pacquiao must work harder and win big to convince the judges that he is the real champion. He needs a wide margin to clearly show that he wins the fight. He further shared that if the Filipino boxing icon had a very close fight with Mayweather, then most probably, the fight will go to Mayweather. 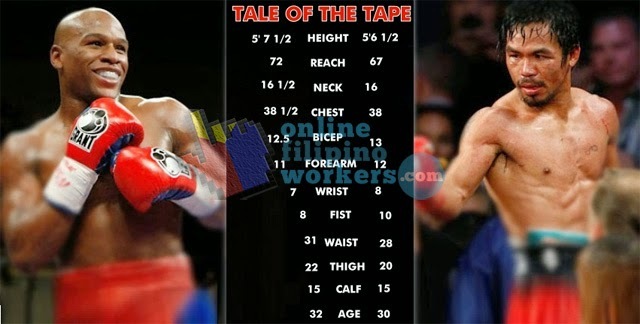 Mayweather's advantage could be that he had sustained less damage during his boxing career compared to Pacquiao's. With 407 fight rounds, Pacquiao had more fights but Mayweather had lesser punches landed on him. Around only 17% of punches had hit Mayweather. The advantage could have been the longer reach of Mayweather. Pacquiao's advantage will be his experience with close range fights. The megafight is set on May 2, 2015. After more than five years of waiting, boxing fans are excited to see the historical fight between two the boxing icons.